Introduce yourself as Kuwata, or if the song you're singing has spoken parts that works as well. 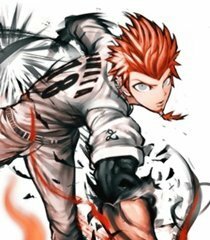 Introduce yourself as Leon Kuwata. Display his panicky side during Trial 1. Include any extra lines, if any. Yo! My name is Leon Kuwata! By the way, can I confess something to you!? See, I dont like baseball at all. Ive never went to practice even once. So, I decided to make joining this school an excuse to quit baseball! I have my own dreams, yknow! Im going to be a musician! You can tell I have that rockstar quality, right? Isnt it just so cool when you can chase your dreams?! Wwhat did it say!? Kill each other? What the frick? The hell do you think this is, some crazy videogame!? Yo! My name is Leon Kuwata! Nice to meet you! I never even bothered going to practice, I hated the stupid game. The music scene is more my thing, don't you think?